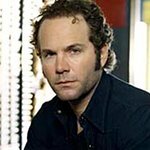 John Ondrasik of Five For Fighting has started a charity music video community. The site, www.whatkindofworlddoyouwant.com, offers the public the chance to upload videos which explain the type of world in which they want to live. The charities benefitting from the website include Fisher House Foundation, Breast Cancer 3-Day, Save the Children, Autism Speaks, Save The Music Foundation and New York Police & Fire Widows' & Children's Benefit Fund. John tells us that another charity, Augie's Quest will be added within the next few months. For those who need more of a reason to create a video, there are prizes on offer. The grand prize winner will be chosen at random from the 20 most popular videos, and will be treated to a private concert with John Ondrasik including roundtrip airfare and lodging for two in Los Angeles.